Visit the Healthy Hilltop Well-being and Outreach table every Monday and Thursday to receive peer-to-peer education on various health topics, engage in interactive games and activities, and walk away with awesome prizes and resources! Students who visit are provided an inclusive, informative, safe and fun environment in which they become empowered to cultivate healthy lifestyles and promote health behaviors among the rest of St. Edward's student population. 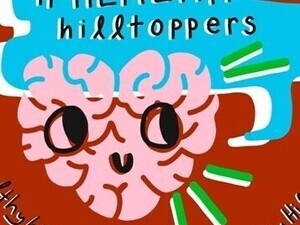 Follow @healthyhilltop on instagram/fb to stay in the loop!